John William Martin joined CCM in April 2015 as the Assistant Dean of Preparatory and Community Engagement. 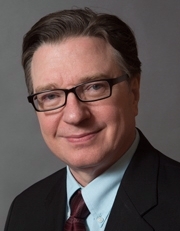 Martin comes to CCM shortly after finishing his tenure as Executive Director of the Brookline Music School, a preparatory-style, community arts education institution in Brookline, Massachusetts. In addition to Brookline, he has built a long career as a music administrator dating back to the 1980s: director of admissions and founding director of the Community Music School at Michigan State University; coordinator of music services, director of the Celebrity Artists Series and instructor in the Music Administration program at the University of Alabama; director of the Wausau Conservatory of Music in Wisconsin; and arts coordinator for the Jefferson County School system in Florida. As a flutist, Martin’s performing career has also been impressive. He served as principal flutist of the Wausau (WI) Symphony Chamber Orchestra and associate principal flutist with the Central Wisconsin Symphony Orchestra. He has also had several engagements as a teacher: flute instructor for the University of Wisconsin-Marathon Center, visiting lecturer for the University of Wisconsin Stevens Point and an artist-in-residence for the state arts councils of Florida, Wisconsin and Alabama. Martin is currently a board member of the National Guild for Community Arts Education and has served as chairperson of the Guild’s Central Great Lakes Chapter, as well a member of the Council of School Directors and the membership committee. He has served as a consultant to numerous community and university arts programs throughout the country and has been a participant in the National Guild’s Management Assessment Training Program. A native of Charleston, South Carolina, John William Martin received his bachelor’s degree from the University of Montevallo (AL). He then earned a master of music degree in flute performance from Florida State University, where he studied under Charles DeLaney. Martin’s other interests have included collaborations as both performer and composer with numerous dance companies including Happendance (Michigan’s oldest, continuing professional company), Children’s Dance Touring Theatre of Florida and dancers from the Martha Graham Company. He served as an officer on the board of directors and production manager of the Children’s Ballet Theatre of Michigan, 2003-09.